There, they hope to witness the historic passing of the Crystal Comet at a hair-raising gala and monster skull-ebration. Their adventures introduce them to new beast friends carving their way in the big city: Luna Mothews™, daughter of the Moth Man; Mouscedes King™, daughter of the Rat King; and Elle Eedee™, daughter of The Robots. Each wears her fiercest fashion and out-of-this-world accessories for the gala event that will skull-ebrate the comet's passing. 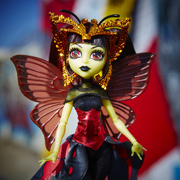 The easily dazzled Luna Mothews™ doll attracts the spotlight in goth-moth style and freaky fabulous moth wings with their graphic design. Her outfit is scary cool with a silvery accent on the bodice, black leggings and a moth wing-inspired print on the skirt. 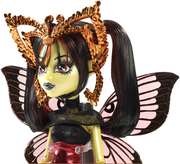 Silvery boots shine while her bright orange antenna headband is cute as a bug's ear. 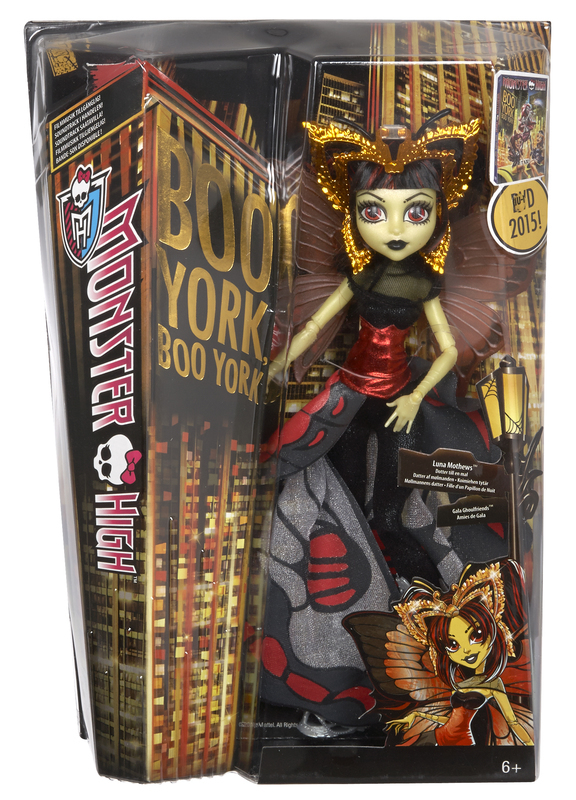 Use the doll stand and doll hairbrush to style the gore-geous doll for a flawesome moment. Plus, a diary with character info adds to the fun.